If you want the best hauntedhouse on the block this year, you need to make sure you have the scariest decorations placed all around your home. Now ask yourself, what is the most terrifying thing other people could find in your home. Sure rusty chains and cobwebs are kind of creepy, but you’re not looking to just widen some eyes and get a few gasps. No, you’re going for blood-curdling screams! So in order to obtain plenty of good shrieks this year make sure you have at least one of these Life Size Severed Foot Decorations set up around your house. This bloody foot will make it look as if you run some sort of terrifying torture chamber. Transform your home into that of a mad butcher’s with a pile of these plastic props placed in your kitchen or dining room. 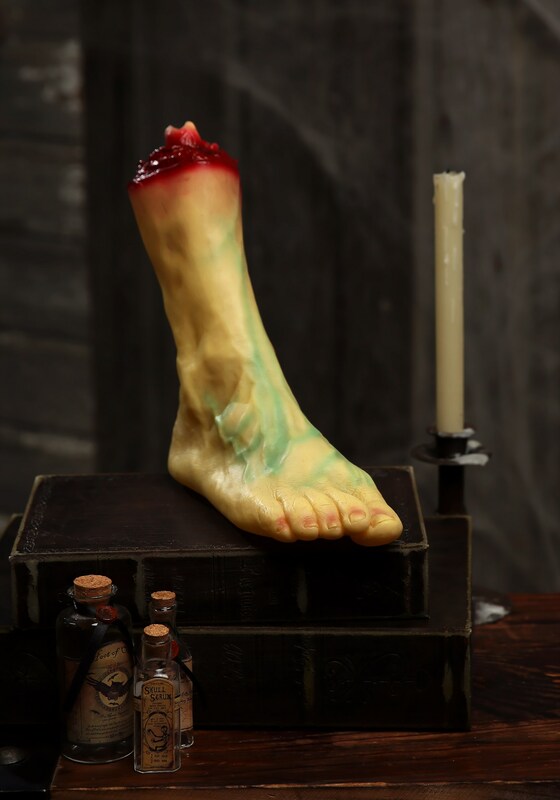 Make sure you take a look at the rest of our severed limb props to add even more horror to your haunted-house this year.